See more objects with the tag women's clothing, straw, sales, sample book, marketing, milliners, lace-like. See more objects with the color darkslategrey darkslategrey darkgrey grey dimgrey or see all the colors for this object. This is a Sample book. It was company: Claude Frères. It is dated 1903 and we acquired it in 2004. 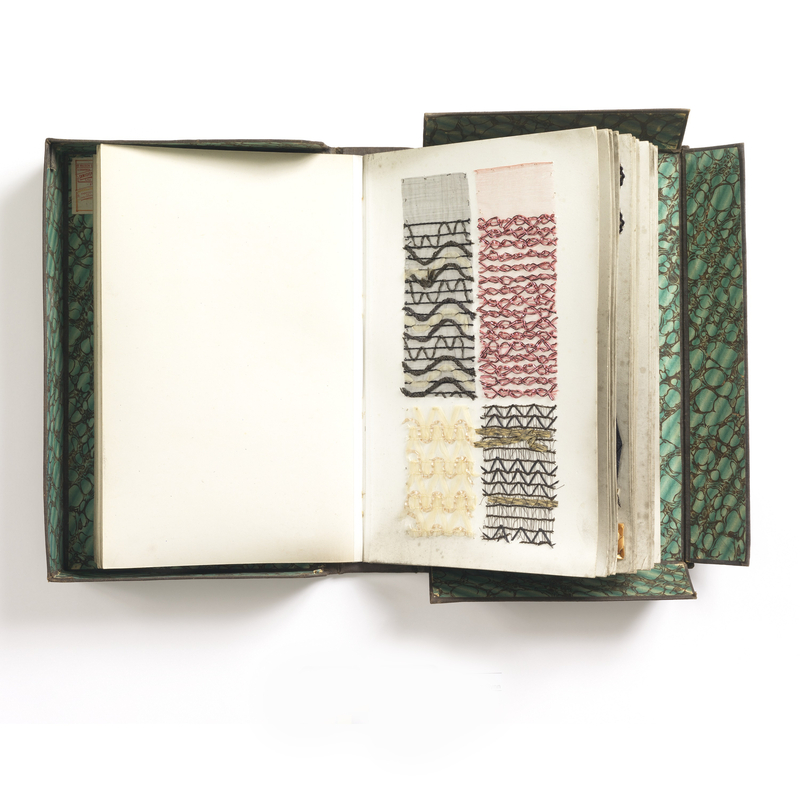 Its medium is paper, cardboard, silk, straw, and mixed media samples and its technique is samples of machine-made braids and embroidery, mounted on paper and bound. It is a part of the Textiles department. 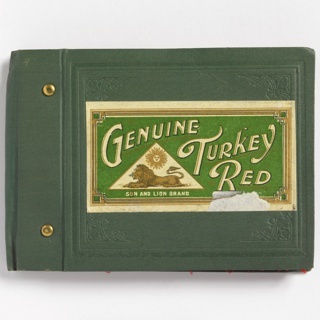 Sample books, originally created for commercial, educational, or scientific purposes, have become valuable guides to understanding the products, technological processes, materials, aesthetic, provenance, and use of objects manufactured in the past. Both the museum and library have extensive collections of sample books containing diverse groups of samples ranging from paint chips to lace. This highly unusual book supports other artifacts in the collection and adds depth through its use of an unexpected and common material for the ornamentation of high-end, fashionable French textiles. This object was purchased from Bruno Pichler Design Service, Ltd.. It is credited Museum purchase from Friends of Textiles Fund.